United States partially resumes issuing visas in Turkey amid row over safety of staff at its missions following a number of detentions. The United States partially resumed issuing visas in Turkey on Monday after getting assurances about the safety of staff at its missions following a number of detentions, Reuters reported. The Turkish embassy in Washington then said it would match the move, although it denied there had been any assurances. Turkey described the U.S. move as a positive development, noting it was announced on the eve of a visit to the United States by Turkey’s Prime Minister Binali Yildirim. 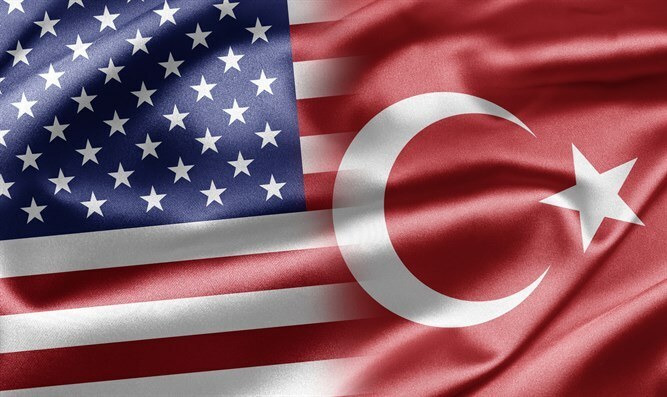 The U.S. embassy said that despite its move it remained deeply concerned over the detention of two of its locally employed staff at diplomatic missions in Turkey, and the fate of U.S. citizens arrested under a state of emergency in force since a failed coup last year. Last month, the U.S. mission in Turkey reduced visa services in response to a U.S. mission employee being detained in Turkey. Turkish President Tayyip Erdogan later angrily accused Washington of sacrificing a longstanding alliance with Ankara and also announced that Turkey no longer regarded ambassador John Bass as the U.S. representative to Turkey and would boycott him for the remainder of his tenure. “We have received initial high-level assurances from the government of Turkey that there are no additional local employees of our mission in Turkey under investigation,” the U.S. embassy said in a statement on Monday, according to Reuters. “We have also received initial assurances from the government of Turkey that our local staff will not be detained or arrested for performing their official duties,” it added. Hours later, however, the Turkish embassy said it had not given the United States any assurances, and that any decision regarding legal procedures on U.S. mission workers would be left to Turkey’s judiciary. The U.S. consulate employee in Istanbul in question was arrested on charges of links to Fethullah Gulen, a cleric blamed for last year's failed coup.